Rhinosinusitis is one of the most common reasons for physician visits in the United States. Disease impact studies have revealed a significant reduction in quality of life and high socioeconomic cost measured in lost schooldays and workdays. Current estimates indicate chronic rhinosinusitis (CRS) afflicts 37 million people annually in the United States. Acute rhinosinusitis is thought to be caused by an inflammatory reaction of the paranasal mucous membranes in response to a viral or bacterial infection. The patho-physiology of CRS is less clear. The traditional hypothesis has been that repeated acute inflammatory episodes, with or without an underlying anatomic predisposition, lead to obstruction of sinus ostia with resulting impairment of the mucociliary transport system. The diseased sinuses fail to ventilate and drain. Some patients go on to develop nasal polyposis in response to the chronic inflammation. Histopathologic studies of nasal mucosa obtained during sinus surgery have revealed the presence of an eosinophilic infiltrate. Several systemic diseases, including cystic fibrosis, immune deficiency, or primary ciliary dyskinesia, may predispose patients to development of sinusitis. It remains unclear why in some patients recurrent acute rhinosinusitis develops into CRS. Investigators are working on understanding the relationship between infection, allergy, and nasal polyposis. Recently, it has been proposed that fungus may be the inciting environmental factor that initiates the chain of events culminating in the condition known as CRS (1). In 1999, investigators at the Mayo Clinic raised the possibility that a previously unrecognized nonallergic fungal inflammatory process is responsible for the majority of cases of CRS. Using an extremely sensitive culture technique, they demonstrated positive fungal cultures in 97 of 101 consecutive patients who underwent endoscopic sinus surgery for CRS (1). This observation was tempered by the finding that 14 of 14 healthy controls also demonstrated positive fungal cultures from nasal mucus. Despite this observation, an important difference remained between the two patient populations. Histologic examination of the resected mucosa from patients with CRS revealed heterogenous tissue eosinophilia. The eosinophils appeared to be migrating through the epithelium into the mucus of the nasal and sinus lumen. Furthermore, these eosinophils appeared to cluster around fungal elements within the mucus. They hypothesized that the targeting of fungi trapped within the nasal mucus by an eosinophilic reaction could produce the inflammation seen in patients with CRS. This hypothesis does not explain why some patients appear to mount a vigorous inflammatory response to the environmentally ubiquitous fungi, while others do not (2). Perhaps, the presence of incidental fungal elements in both diseased and healthy individuals merely reflects the natural function of the nasal mucus as a particle-trapping filter. Further research will determine whether fungi truly have a role in the pathogenesis of all cases of CRS. There are, however, several well-described manifestations of fungal sinusitis. 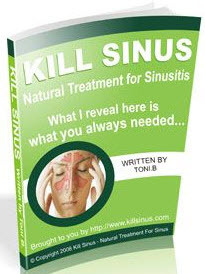 These include the noninvasive forms of fungal infection [allergic fungal sinusitis (AFS), saprophytic infections, and fungus balls] as well as the invasive forms (acute invasive fungal sinusitis and chronic invasive fungal sinusitis). This chapter will review their presentation, pathophysiology, diagnosis, and management.